Free Kurdish Political Prisoners Now! The US Country Committee of International League of Peoples Struggle (ILPS-US) strongly condemns the recent arrest and detention of leaders of the People’s Democratic Party (HDP) including Selahattin Demirtas and Figen Yüksekdağ in North Kurdistan and Turkey by the Turkish authorities. 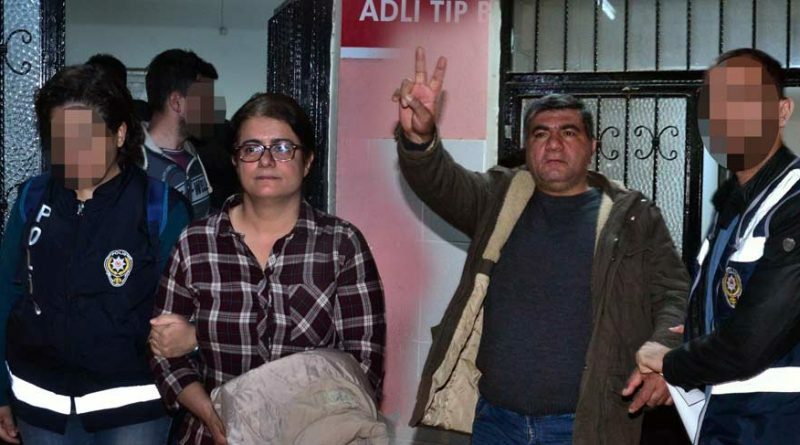 The raid and arrests are repressive acts consistent with the anti-democratic and fascist line of the US-supported Erdogan regime, and its intent of crushing the Kurdish people’s continuing struggle for national self-determination and democracy. This includes the continuing detention and isolation of Kurdish Workers Party (PKK) founding member and armed resistance leader Abdullah Ocalan since 1999, when the CIA worked with Turkish intelligence to kidnap Ocalan in Nairobi. As an anti-imperialist formation in the US, ILPS-US unconditionally supports the Kurdish people’s struggle for national liberation, starting with its liberation from the fascism and political repression of the Turkish state, a member of NATO. The steadfast resolve and unwavering resistance of the Kurdish struggle is an inspirational one, and it is necessary for all who aspire for liberation and a just peace in the world to stand in solidarity with it, including those oppressed and exploited within the United States. We call on ILPS members in the US to stand with the Kurdish people’s struggle for national self-determination and democracy and demand Turkish authorities release Kurdish President Abdullah Ocalan and all Kurdish political prisoners immediately. Stop Political Repression in Turkey and North Kurdistan! Long Live the Kurdish Struggle for Self-Determination! ← ILPS Philippines : Stop Erdogan! Stop the repression on Kurds!